These essays and sermons articulate the basics of the Christian faith and are by some of the best-known evangelical voices in the Presbyterian Church today. 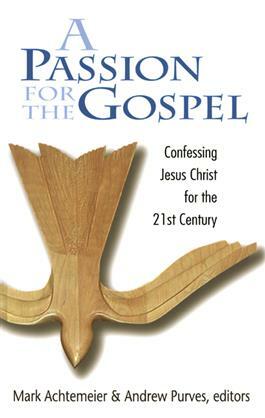 The main ideas in these essays are congruent with the basic theology contained in "Union in Christ: A Declaration for the Church," which was adopted by the Presbyterian Coalition, a group that seeks renewal within the Presbyterian Church. Contributors include: Elizabeth Achtemeier, Joseph Rightmyer, James Logan, Scott Sunquist, Charles Partee, Catherine J. S. Purves, Jeffrey Bullock, Earl Palmer, Clayton Bell, Margaret Kim Peterson, Peter Barnes, Jack Haberer, Sherron George, James Singleton, and others.